Farm animals have the same emotional capacity as traditional companions like dogs and cats, yet modern cruelty laws do not apply to them. Under the law, they are seen as mere objects for human use. At Ching Farm, we fill a need in the Salt Lake area by advocating for farm animals through rescue, education, and adoption and placement services. We believe that our advocate work can help change perceptions of farm animals and create a deeper respect for the rich emotional lives of these animals. Ching Farm Rescue and Sanctuary was founded by Faith and Mike Ching in Utah in 1998. The farm became incorporated as Ching Farm Rescue as a 501(c)(3) non-profit organization, and your donations are tax-deductible. Vista Farms is a full care horse boarding facility. Their focus is not only on horses and providing the best care possible for the horses housed at their facility but also to bring families together. It is about having fun and the love of horses. Mountain Top alpacas is a family owned rescue and breeding facility. Mountain Top produces top quality fiber every year. Owners Kim and Cindy strive to provide the best quality care for their animals who have become members of the family. Mountain Top Alpacas offers support and education for surrounding alpaca owners and those looking to get into the business. Donal River Ranch started as a dream. From the first time Donna saw an alpaca she knew she would one day own one. The ranch is a family run facility where everyone is welcomed as one of the family. Since the beginning the alpaca family has increased in size many times over. Donal RIver Ranch produced high quality fiber and crias. ﻿﻿﻿﻿South Mountain Equine Veterinary Services is based out of Bluffdale, Utah. We provide equine ambulatory services for all Northern and Central Utah regions including Salt Lake, Utah, Cache, Tooele, and Davis counties. We are committed to promoting responsible pet ownership, preventative health care and health-related educational opportunities for our clients. Creekside Animal Hospital strives to offer excellence in veterinary care to Draper and surrounding areas near Salt Lake City. 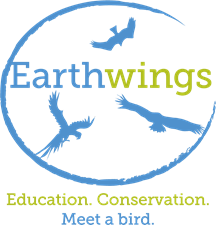 Earthwings provides educational programs and displays for schools businesses and special events throughout Utah to help people of all ages understand, respect and appreciate the unique natures, abilities and majesty exhibited by our live birds in on-site demonstrations. Our goal is for people to learn more about these fascinating creatures so they will understand and respect them and their habitats, and become grassroots conservationists who help ensure the safety and survival of birds and all natural wildlife and their environments.